If ever a dress were my soulmate, this one would be a strong contender. It’s fun, it’s colorful, and perhaps just a little too much. 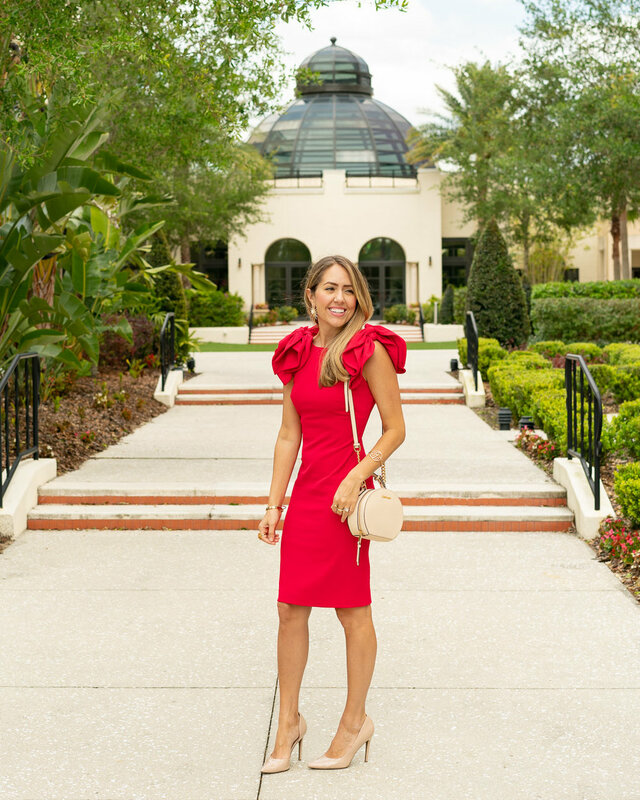 I’ve never been into LBDs (little black dresses) but I will take a little red dress all day long! (See other LRDs in my closet here, here and here.) Beyond the color, it’s the shoulders that take the cake. 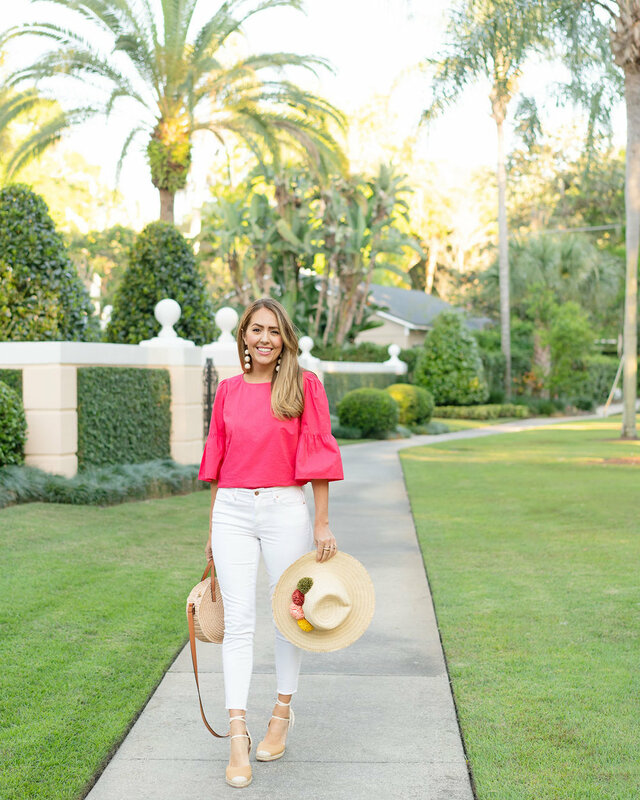 I love a big ‘ole ruffle - they make me feel super feminine and like a boss at the same time. Do you prefer a LBD or a LRD? What color or feature makes you feel most confident? Approx. dates: Shoes are 4 years ago. Earrings are 3 years ago. Dress and purse are new. The utility trend includes just about anything that is olive, khaki or a brown derivative. It’s a close cousin/ basically the same thing as the safari trend, and today I’m giving it another try! (See my first post about it here.) These richly-hued neutrals are seriously calling my name, like these tie-waist pants in a unique color and a snakeskin bodysuit that is a near-perfect match. My new button sweater (below) also pairs well with these pants, and I’m excited to try more combinations including longer sleeves and potentially work-appropriate options! Approx. dates: Shoes are 2 years ago. Purse and top below are recent. Top above and pants are new. Whoever you are, wherever you’re from – your style has a home here. Style that’s original, doesn’t discriminate, at prices that all of us can feel good about. Essentially: you do you. I can get on board with that!! 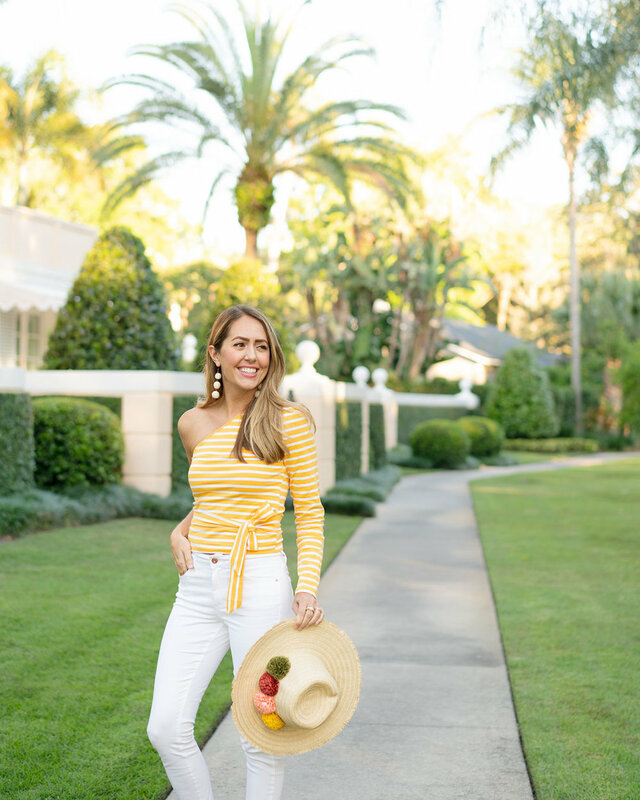 And on board I did – by styling a head-to-toe outfit (plus one additional top) from Walmart that is so incredibly “me”! 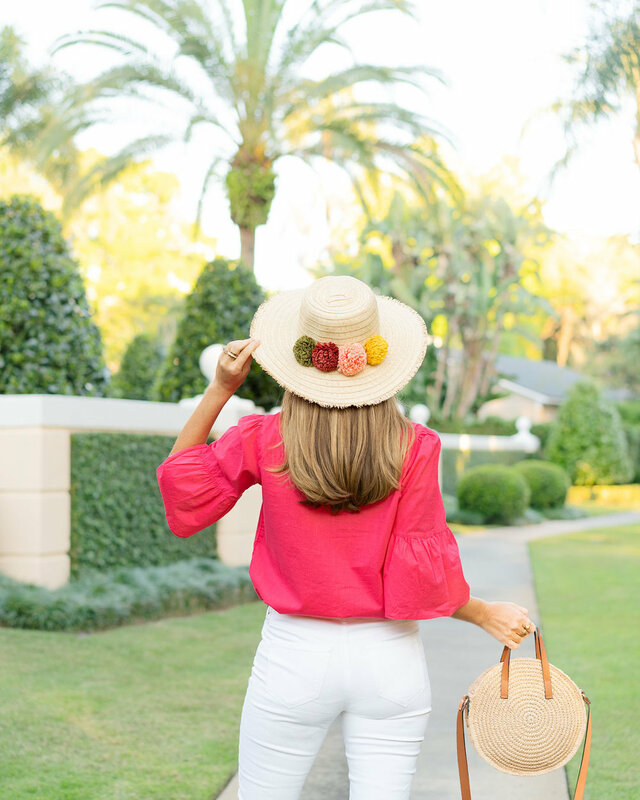 It’s colorful, feminine, comfortable and affordable. Everyone is encouraged to join and participate – head to the We Dress America campaign page to start shopping and post your looks using the hashtags #WeDressAmerica and #WalmartFashion. I know I will be! Which top do you like better with this outfit? 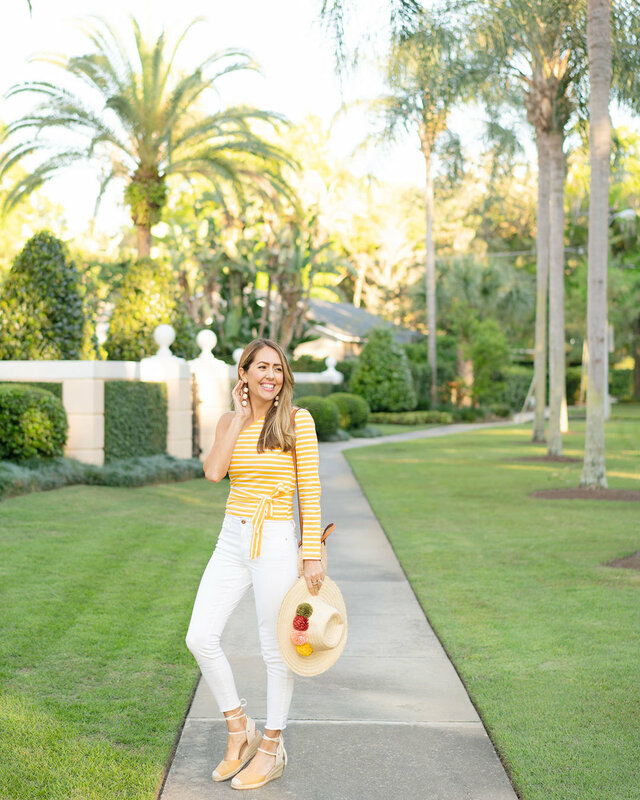 I’m featuring another old favorite today - these black and white striped pants! 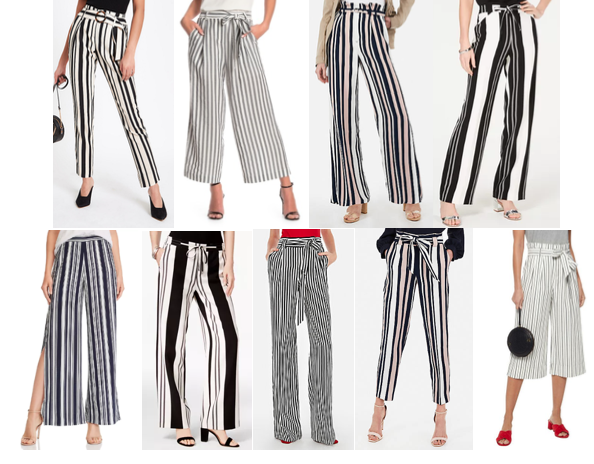 They still feel fresh and new, thanks to how “trendy” striped pants are at the moment - I found so many similar options to shop (see below). The first outfit (above) has been a favorite way to wear these pants for years (see it in India in 2016 here!). The second outfit (below) is a new way to wear them for spring/summer, with bright yellow and pink. Really the possibilities are endless though - check out 6 more outfit ideas through the years here, here, here, here, here and here! Which one is your favorite? Approx. dates: Pants, shoes, necklace are 4 years ago. Top is 3 years ago. Purse is recent. Approx. dates: Pants, shoes are 4 years ago. Top is 2 years ago. Purse is recent. Earrings are new.